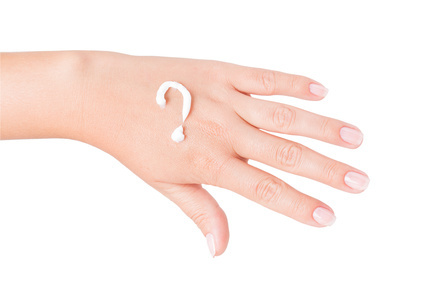 Topical Skincare Ingredients: Are They Absorbed By The Skin? The safety of topically applying skincare and cosmetic ingredients has been in question, especially as attempted legislation in regard to our industry continues to raise alarm bells without scientific clarity. We deal with so many misnomers and hype on a daily basis which includes marketing provided for certain cosmetic ingredients, good or bad. Watchdog groups also want to muddy our thinking by making claims that penetration enhancers utilized in cosmetics and skincare are spreading poisons into our bodies at an alarming rate. But let's not get carried away from the actual science here or allow emotive jargon to cloud our judgment. All of this theory and supposition can be based on ones own perspective of the science and / or how it may or may not be presented. We have reviewed many scientific studies and have found within the science data revealed about penetration enhancers, they are actually a good thing in relation to pharmaceutical and skincare performance. Furthermore, scientists support the fact, in regard to our skin acting as an impermeable barrier to anything that comes in contact with it. What we first must understand is, skin creams used for fighting free radicals and the aging process would be worthless if we can't go any deeper than the immediate surface of the skin. Antioxidants, Herbal Extracts and Essential Oils couldn't perform their intended purpose without penetration enhancers. In fact, some EO's are in and of themselves penetration enhancers. Now remember, when we refer to penetration enhancers we are not discussing a delivery system of toxic ingredients like arsenic, strychnine, or supposed endocrine disruptors, or anything which we would remotely be considered poisonous to our bodies or what the EWG and skin deep database would wish to convey as such. The use of some penetration enhancers are combined with nano particles in order to reach deeper within our bodies such as delivery of medications requiring them to reach the blood brain barrier, penetrating not only the stratum corneum and the epidermis, but also into and beyond the dermis layer. In such studies which follow below, we will look at the delivery systems and the benefits for their use. "One long-standing approach for improving transdermal drug delivery uses penetration enhancers (also called sorption promoters or accelerants) which penetrate into skin to reversibly decrease the barrier resistance. Many potential sites and modes of action have been identified for skin penetration enhancers; the intercellular lipid matrix in which the accelerants may disrupt the packing motif, the intracellular keratin domains or through increasing drug partitioning into the tissue by acting as a solvent for the permeant within the membrane." "Novel techniques for drug delivery have been investigated in human medicine in recent years. The transdermal route of drug delivery has attracted researchers due to many biomedical advantages associated with it. However, excellent impervious nature of skin is the greatest challenge that has to be overcome for successfully delivering drug molecules to the systemic circulation by this route. One long-standing approach for improving transdermal drug delivery uses penetration enhancers (also called sorption promoters or accelerants) that can reversibly compromise the skin's barrier function and consequently allow the entry of otherwise poorly penetrating molecules into the membrane and through to the systemic circulation. A large number of fatty acids have been used as permeation enhancers. They have proven to be effective and safe sorption promoters. This present review includes the classification, feasibility and application of fatty acids as sorption promoters for improved delivery of drug through skin." The problem is EWG and CFSC are among those that wish to label all penetration enhancers as "BAD", instead of separation of the proven science in support of their use for the safety and efficacy they provide the user. The critical analysis here is, if personal care products could do all the things many marketing claims state they could do, then women wouldn't be injecting Botox or Restylane. Which basically means, penetration of what is identified by science as essentially an impermeable protective barrier to any skincare products, most products won't be able to go much deeper than the actual dermis. If they could then injections wouldn't even be necessary. 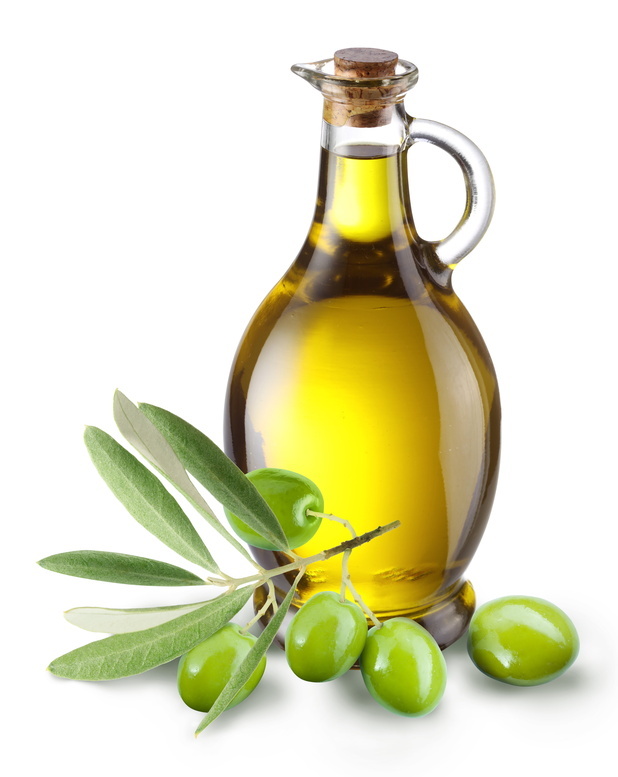 Olive Oil is a fatty acid which has been shown to have promising results in skincare penetration, though limited compared to others in penetration enhancement. What was interesting in doing more research, in a study performed in 2007 using "in vivo" they determined human skin is usually the preferred skin membrane to use in an absorption study. No animal model gives absorption values identical to those obtained in human skin. This is something we repeatedly try to convey to our customers to help them understand through actual science, and negate the false narrative purported by the anti chemical campaigners. In other articles such as, Is Titanium Dioxide Safe In Mineral Makeup And Sunscreens, we have shown the science in which animal studies will not and cannot extrapolate to human beings as much as EWG, CFSC and their skin deep database would love them to, nor can in vitro (petri dish) compare to contact with actual human skin. The stratum corneum has long been considered a major barrier to the penetration of topically applied chemicals despite what ideologues try to pressure others into believing without supporting scientific evidence. The effects studied in the Peer Reviewed PubMed Research are shown with four essential oils (rosemary, ylang, lilacin, and peppermint oils), and three plant oils (jojoba oil, corn germ oil, and olive oil) on the permeation of human skin. These oils were compared with three synthetic chemical penetration enhancers, one of which is ethanol, and though the penetration of the oils enhanced permeation, their effects were less than the ethanol. Aminophylline was the ingredient in this particular study for enhancing its absorption into the skin. In the abstract synopsis of PubMed, out of all the oils used, Jojoba oil out performed olive oil it seems, resulting in the olive oil having the least permeation of the skin. We now have to wonder what is the motivation for these NGO groups to be so concerned with penetration enhancer ingredients and try to promote all natural, when Olive oil and Jojoba Oil appear to perform similarly for enhancing penetration of other ingredients? This is also the reason why jojoba oil is excellent for dissolving and controlling excess sebum and maintaining skins pH balance, and we love this wax ester for what benefits it offers to skin, including the fact it is rich in antioxidants. EO's also performed much better for enhanced absorption as a result of this study compared to Olive Oil. We love Olive Oil and the anti-aging benefits for the body inside and out. We are not too concerned about it's effective use in skincare as a penetration enhancer because that is exactly what we want it to do. It is wonderful for soothing many skin irritations, and the fatty acid profile is exceptional for topical treatment of skin ailments since it acts as a natural steroid due to constituents of natural sterols, squalene and polyphenols, helping to calm many skin issues. Plus, other studies in Asia showed that it was the preferred oil for baby massage over mineral oil, since it is readily absorbed more easily, and offers more skin benefits for fighting irritation and dry skin in infants. More peer reviewed research provided by Science Direct. The Asian Journal of Pharmaceutical Sciences is another example on types of delivery systems and the challenges that persist with permeability of skin. Skin is resilient and protects our body from penetration of many chemicals. In the Abstract:Transdermal drug delivery has been accepted as a potential non-invasive route of drug administration, with advantages of prolonged therapeutic action, decreased side effect, easy use and better patient compliance. However, development of transdermal products is primarily hindered by the low permeability of the skin. To overcome this barrier effect, numerous new chemicals have been synthesized as potential permeation enhancers for transdermal drug delivery. In this review, we presented an overview of the investigations in this field, and further implications on selection or design of suitable permeation enhancers for transdermal drug delivery were also discussed. 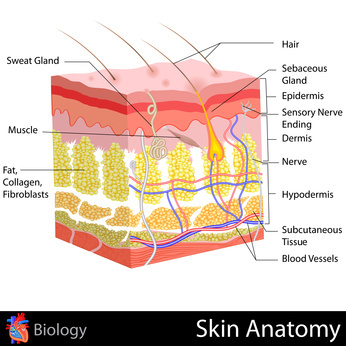 As the study determines, the skin structure is composed of three resilient layers: stratum corneum, epidermis, and dermis. The amalgamation of these transitional layers and their physical properties and physiological forces designates the skin as an ideal component in regulating absorption and retention. Absorption and retention are dependent on many factors, including pH, molecular weight, solubility, electrolytes, polarity, and especially the lipophilic / hydrophilic nature of the molecules involved. Furthermore, the effectiveness of topically applied therapeutic drugs is dependent upon the retention in skin layers and the transdermal absorption into specific target tissues. Many ingredients molecular structure are actually too large to otherwise penetrate the outer layer of our skin. Without fatty acids or a synthetic penetration enhancer, depending on your preference, a simple, basic skin cream will essentially just sit on top and do nothing but soften and create an additional barrier for preventing dehydration of the skin. Furthermore, with all the research we have combed over in this past decade, including the studies above, molecular size of ingredients prevent most cosmetic and skincare products from going beneath the immediate skins surface without help to achieve penetration of the stratum corneum. Penetration enhancers are utilized to provide the deliverance of essential skincare ingredients which can have a cumulative or immediate short term effect on improving skin texture and it's appearance while using the product. Nevertheless ongoing concern continues by some that have been sold the bill of goods offered by the anti-chemical crowd even though most science refutes this supposition which continues to haunt the internet. We really should be addressing the important question as to penetration enhancers carrying any other ingredients of concern into the blood brain barrier. The likelihood is slim to none based on the evidence of nano scale size particles being required in many instances to even come close to reaching the blood brain barrier. As shown in the research, other non-essential ingredients, like emulsifiers, thickeners and preservatives will not permeate the skin due to their particle size no matter the catalyst used for penetration enhancement. In other articles, such as what was in the EPA 2010 Final Report, even nano scale particle size will find great difficulty permeating healthy skin without a penetration enhancer acting as a catalyst. The diagram (above) simulates the depth of skin layers and conveys in relation of the surface of our skin to the blood vessels and lymph nodes. Not a single study could be located that actually determined the penetration of the blood brain barrier with cosmetic ingredients utilizing penetration enhancers, only the scare tactics and "toxic chemicals" propaganda perpetuated by the biased EWG and CFSC without any peer reviewed studies to substantiate their claims. Their references to date are antiquated and link to nothing. At best credibility would be established with these entities if they actually provided the peer reviewed science based research in line with their so called theories. Only those of pharmaceutical origin, which is exactly the purpose of penetration enhancers and nano science, were shown to be beneficial in this context of delivery of therapeutic drugs, but certainly should not be used to draw a conclusion that this extrapolates to cosmetics or skincare. Our personal care products industry does not fall into the same category as pharmaceutical science. This is another scare tactic the NGO's and their peers love to use in order to take something positive within the medical field and twist it to the negative for self serving goals by trying to convince the public that these same penetration enhancers are carrying everything we place on our skin right into our circulatory system, crossing the blood brain barrier. Essentially the theoretical claim is, if this could be done on a medical patch it must somehow do the same within cosmetic and skincare formulations. This is unequivocally FALSE! Since cosmetics and skincare are not generally associated with big pharma legally, nor are they medicines, their structure is for the purposes of treating the surface layers of our skin temporarily and should not be correlated as one in the same with a pharmaceutical delivery of medication through patches requiring a systemic effect. If they could perform as such, then they would require FDA approval and would be marketed as a "drug." When it comes to skincare, we want our products to be safe and perform beyond simply just sitting on top of the skin. If an additional benefit of delivery of any essential anti-aging ingredient (antioxidants or Retinol) can be enhanced into reaching the epidermis, including softening and reducing fine lines and wrinkles and sustain hydration of the skin, then that is exactly created by deliberate design. We realize it is still a personal choice. So if you think penetration enhancers in skincare are doing far more to your body than treating surface layers of the skin, then by all means be wary, but please be aware, penetration enhancement is also not black and white. As we showed in the studies above, in all cases it required a certain combination of ingredients and the perfect chemistry to achieve exemplary penetration of what the research was trying to achieve (therapeutic drugs), and the molecular structure of the ingredient being enhanced also plays a huge role. Also shown in these studies, natural ingredients (chemicals) are penetration enhancers, so even with the use of an all natural skincare or cosmetic product, you will not be able to avoid these in any way, shape or form. This is why it is critical to take what the EWG and CFSC and their skin deep database state with a grain of salt, because frankly they can't have it both ways. Sadly this fact seems to be lost entirely on much of the all natural, certified organic skincare, blogger, and book author community. This also is why we promote that critical thinking and a touch of common sense should be used. Unfortunately, we can still locate in many forums or blogs, or even hear from concerned customers on these subjects, about information they stumbled across that is typically prefaced with a firm anti chemical belief. As is typical, completely ignoring the actual science when it doesn't suit the agenda they are pursuing. 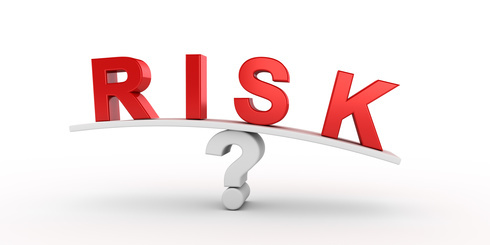 It is especially disconcerting to us when skin deep database simply places scores of "hazard" without the balance of actual "risk" to the consumer, or to EVEN reference an ingredient in such a manner when they have 100% data gaps. This in and of itself should pose the question to the casual observer, "is the Campaign for Safe Cosmetics and the Environmental Working Group along with their data base, somehow clairvoyant? Where is the PROOF?" One must look past their marketing, explore products they support and sell at their website more in depth, and only then can one begin to see the "real" message they are promoting in terms of financial gain, something our industry is accused of on a regular basis. It is their greatest hypocrisy. The fact is, the legislation these NGO's are trying to draft, (so far with little success thankfully) is to ignorantly lambaste and eliminate (ban) penetration enhancers or any other ingredient synthetically created for that matter, based on ridiculous theories devoid of all science. The devastating fallout of such non science based legislation, perhaps unintentionally but nonetheless, will be that the (beneficial) constituents these same natural ingredients can possess, and are found in the majority of your natural skincare products (including our own formulations) will disappear from the store shelves as well as their synthetically derived counterparts. As much as NGO's try, synthetic or natural ingredients are not mutually exclusive of the other. They are all Chemicals and this would be a travesty for consumers and industry alike! Well there's always Vaseline and water!